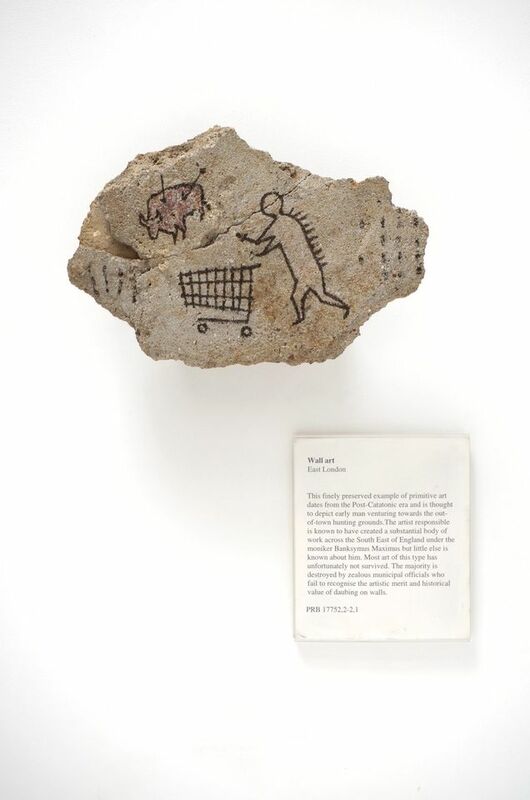 The British Museum has acquired its first work by Banksy. 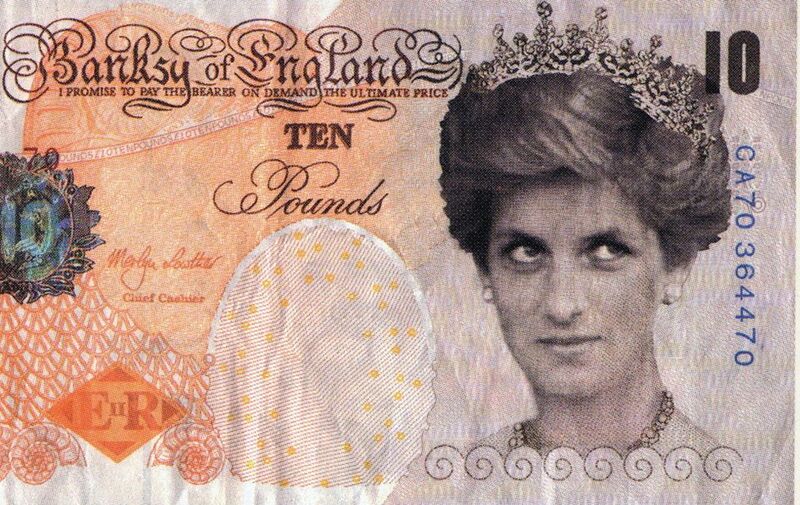 Di-faced Tenner is an imitation UK £10 banknote bearing the face of the late Diana, Princess of Wales, rather than that of the Queen, and is prominently inscribed “Banksy of England”. Banksy produced the £10 note in 2004, seven years after the death of the princess, intending to use it in a performance. The anonymous street artist, now widely believed to be Robin Gunningham, claimed to have printed 100,000 copies to throw from a building. The banknotes now sell on eBay at prices ranging from £1.99 to £750, although many are reproductions rather than authentic Banksy fakes. The British Museum’s example was donated by Pest Control, the artist’s agent and authentication body. Perhaps surprisingly, the gift joins the British Museum’s department of coins and medals rather than prints and drawings. The work’s similarities to a genuine £10 note raise questions as to whether its display or reproduction might technically constitute a criminal offence, although an example now belongs to a UK government-funded national museum. The genuine £10 notes on which Banksy based his work were withdrawn from circulation in March 2018, but can still be exchanged for new ones with the Bank of England. Banksy is now among Britain’s best-known artists. His audacious shredding of the £1m print of Girl with Balloon (2006) by remote control at Sotheby’s in London last October has only added to his fame. However, there are no Banksy paintings in UK public collections, according to the comprehensive Art UK online database. He is not represented in the Arts Council Collection, the British Council Collection or the Government Art Collection. Among the few institutions that do own Banksy works are the Victoria and Albert Museum (six prints and stickers) and Bristol Museum & Art Gallery (two sculptures, a painting on metal and a poster). In his present position as the director of the Art Fund, which supports acquisitions for UK public collections, Deuchar has received no applications for grants towards Banksy works. He says that “it may only be a matter of time”.